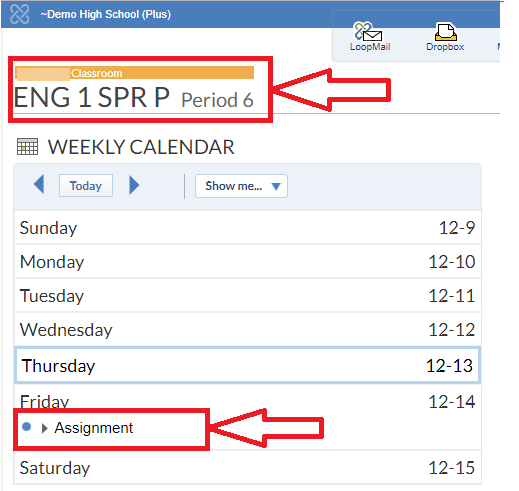 Assignments can be viewed by the students after the teacher publishes the assignment to the class. Task List - Current Assignments: This is a list of all assignments assigned and/or due during the current week. This list is found on your Portal in the Academics section. 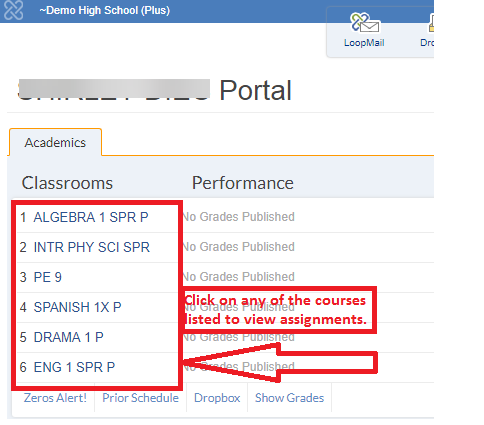 Portal Calendar: Displays all assignments published there by all teachers. You can choose the week view or month view to see the time period you are interested in by clicking on the appropriate icon at the top of the calendar. Use the arrow buttons at the top left or right of the calendar to move forward or back by week or month. To view assignments by the due date and/or by assign date, select the appropriate options from the Show Me tab at the top left of the calendar. Classroom: Click the name of a course from the Academics section of your portal. 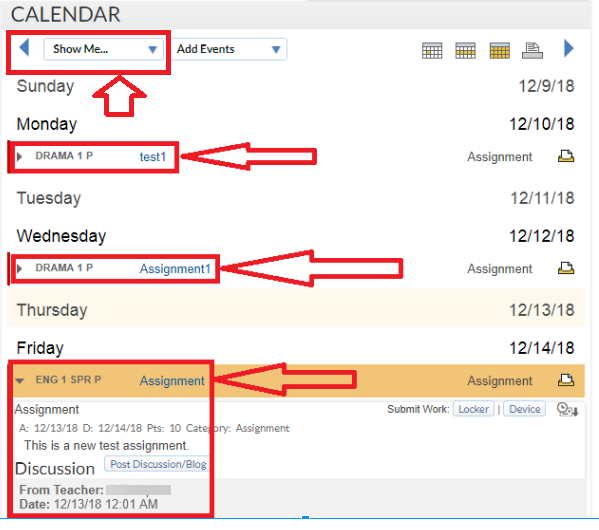 Current Assignments will appear on the Weekly Calendar on the Home tab, the Curriculum tab, and the Calendar tab. 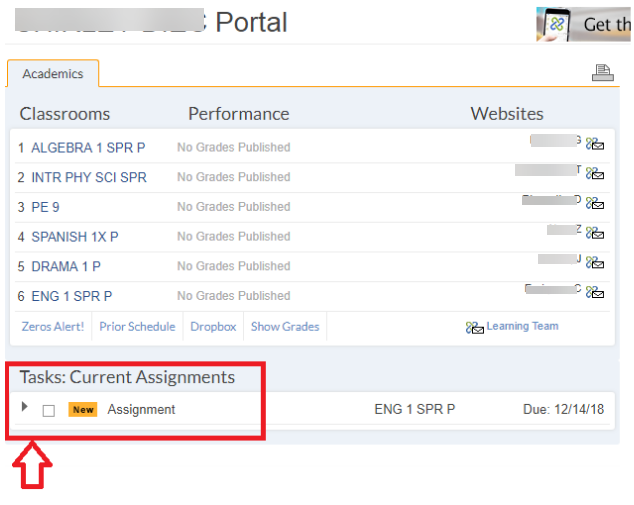 Progress Report: All assignments published from the grade book appear as live links in the progress report. Click the Progress Report link to the right of any course to access the progress report and assignments on it.